PHOENIX – State laws allowed Arizona law enforcement agencies to seize nearly $200 million in personal property during the past five years – almost all of it cash – from people who may never be charged or convicted of a crime, but systemic gaps in oversight make it difficult to see how they spent much of that money. After analyzing more than 1,300 quarterly financial reports filed by agencies detailing seizures and expenditures from fiscal years 2011 through 2015, AZCIR found that the state commission tasked with compiling statewide civil asset forfeiture figures omitted roughly $20 million, or 16 percent of overall spending, from its reports. 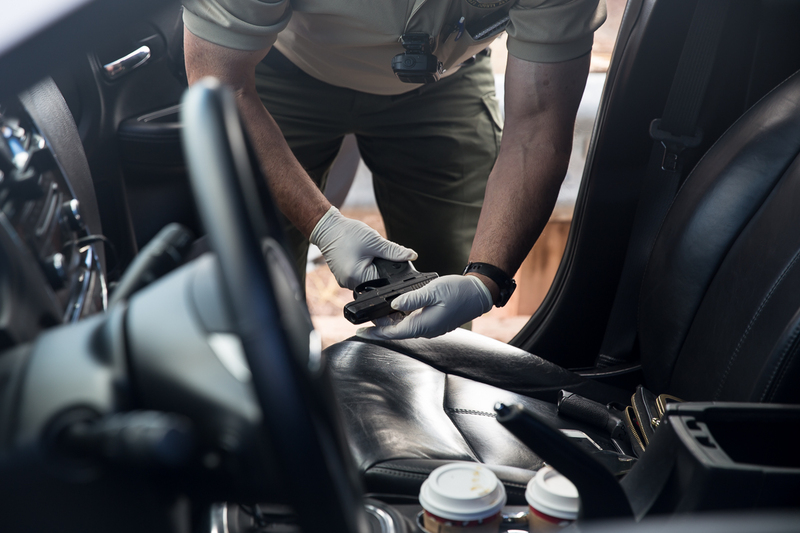 The seized funds augment the budgets of nearly 80 law enforcement agencies through a state program called civil asset forfeiture, which is designed to undercut the profits of drug kingpins and inhibit their ability to move products across the U.S. Commonly referred to as RICO in reference to the federal Racketeer Influenced and Corrupt Organizations Act, Arizona’s program is managed by the state’s 15 county attorneys and the Attorney General’s Office. The court costs alone can sometimes exceed the value of the property, and to get the property back, owners must prove their innocence. If they don’t win every aspect of their case, people can then be billed for the costs associated with the state investigating and prosecuting the case – a provision unique to Arizona. Nearly 90 percent of Arizona’s seizure income from fiscal 2011 to 2015 was cash, sometimes in small amounts . Agencies in La Paz County, with a population of 20,500, seized $1.6 million over the past five years, the second highest rate in the state – $955,000 of that in 2015 alone. The La Paz County Attorney’s Office declined to be interviewed for this story, and the Santa Cruz County Attorney’s Office didn’t respond to interview requests. Generally, counties’ seizure value goes up and down from year to year. While statewide seizure income dropped by 14 percent between fiscal 2011 and 2015, some agencies saw significant increases. 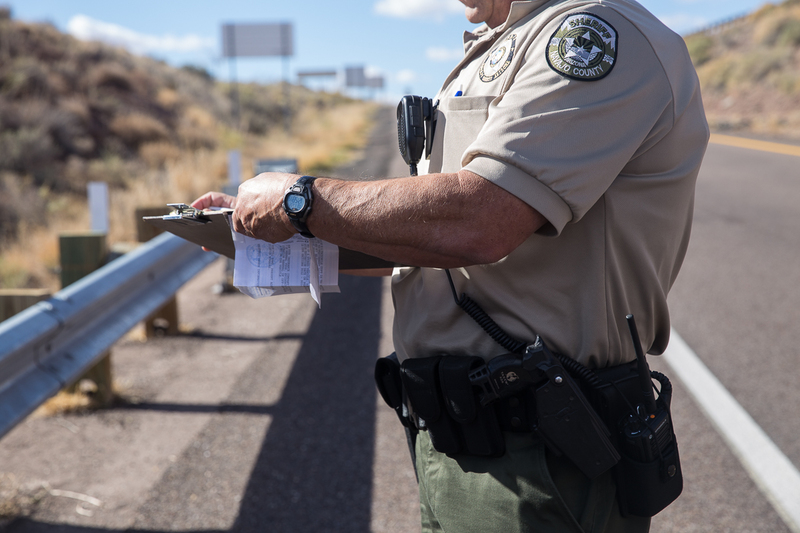 Apache County, for instance, saw a dramatic increase in its forfeiture revenue. In fiscal 2011 and 2012, the county attorney reported $3,000 and $6,000, respectively. In 2013, seizures rose to $26,000. In 2015, seizures spiked to $250,000. Similarly, the Mohave County Attorney’s office reported going from $109,000 seized in 2011 to $852,000 in 2015. Lee Phillips, a Flagstaff-based forfeiture lawyer, said rural counties are more likely to rely on seized money because they have fewer resources than larger urban counties. 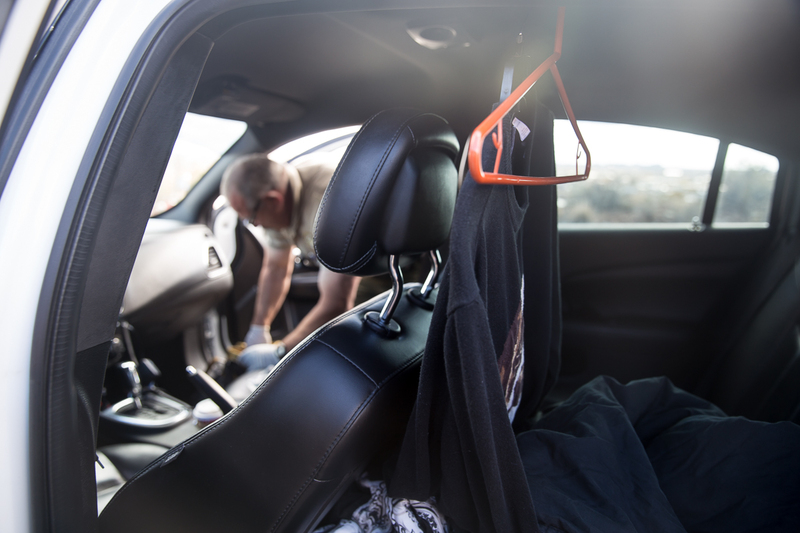 “They’ve all sort of caught on to the idea that, when you stop people and you seize their property … there’s a good chance they’re not going to make an effort to get it back,” he said. Even Arizona’s attorney general, Mark Brnovich, has concerns about the lack of oversight and accountability in the state’s civil asset forfeiture system and the opportunities that creates for it to be abused. “I know it is an effective tool for law enforcement. However, the potential for abuse or misuse is there,” he told the Casa Grande Dispatch in September 2015. Brnovich declined to comment for this story. The proceeds from forfeitures, law enforcement officials say, improve crime-prevention efforts at a time when budgets have been cut across the state. Funds sometimes pay for multi-agency task forces specifically designed for drug enforcement, and other times they pay for items that fall beyond the scope of what an agency budgets for in a given year. State law dictates that any program funded by seized assets must serve a law enforcement or drug-awareness purpose. “(County officials) are not going to fund a narcotics unit for me. They can’t,” said Navajo County Sheriff K.C. Clark, whose office runs a drug task force that makes most of the county’s seizures and is funded in part by forfeiture funds. 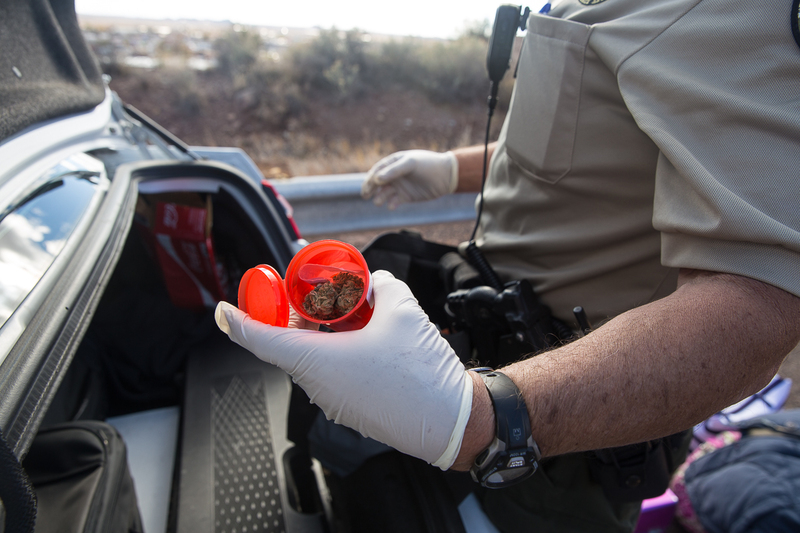 Without those funds, “It would be very hard to keep our drug task force, which means there would be no drug enforcement within Navajo County,” he said. 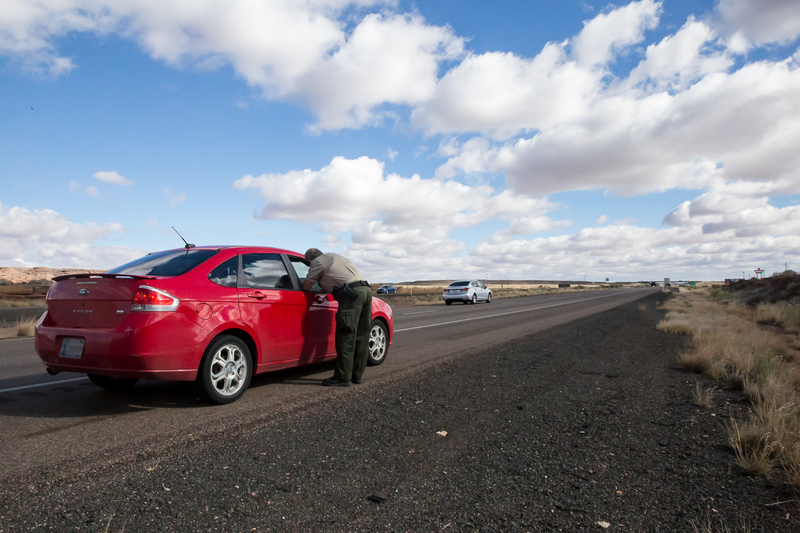 State law requires law enforcement agencies that take part in civil asset forfeiture to report their spending to the Arizona Criminal Justice Commission, a state-level regulatory body that manages and administers criminal justice programs. One of its duties is to compile quarterly and annual reports for government officials that detail, by agency, seizures and the resulting expenditures. AZCIR’s analysis found that reports from nearly every agency were missing from ACJC’s statewide summaries during the past five years. Many of those omitted reports were, in fact, filed with ACJC, but after the filing deadline. As a result, they were not included in the statewide summaries. To account for the remainder of the reports not included in ACJC’s summaries, AZCIR made public records requests to each department that was missing reports. Not all responded by the time of publication and some records had been purged. The reports filed late with ACJC and the reports supplied by law enforcement agencies in response to those requests detailed the additional $20 million in spending during fiscal years 2011 to 2015 beyond what the commission reported in its summaries. It is unclear why ACJC failed to include these reports. In some cases, ACJC’s records showed that it received the reports past the filing deadline. In other cases, the commission didn’t have record of ever receiving the reports. Officials from some of the agencies who responded to AZCIR’s public records requests said they submitted reports to their county attorneys and didn’t know why ACJC didn’t receive them. If agencies don’t submit reports, their forfeiture accounts can be frozen by their respective county attorneys. None of the agencies that submitted their reports late — or failed to file them at all — faced repercussions , ACJC Executive Director Andrew LeFevre said. ACJC doesn’t analyze the data to find errors in reporting or accounting unless the mistake is obvious, LeFevre said. AZCIR’s analysis also found examples of money that seemingly disappeared: Funds transferred from one agency to another sometimes didn’t appear on the receiving agencies’ forms as a “transfer in,” making it unclear where that money ended up. There were also numerous cases of law enforcement agencies reporting thousands of dollars in unlabeled spending. In other instances, money seemingly appeared out of thin air. For example, Navajo County officials reported six beginning quarterly balances with more money than the previous quarter’s ending balance, adding up to a $270,000 discrepancy. Lynda Young, office manager for the Navajo County Attorney’s Office, said she couldn’t explain why the balances didn’t match, but blamed “the fact that it’s a manual form that gets updated” as the most likely reason for the discrepancies. She also noted that ACJC didn’t contact her office about it. Other numbers, including the revenue and spending for each quarter, were correct, Young said. Forfeiture reform advocate Rep. Bob Thorpe, R-Flagstaff, said he wants to create a statewide database of all seizure cases, including the accompanying criminal case and more specific reporting on how the funds were used. He sponsored two bills in the 2016 legislative session to increase legislative oversight and add restrictions on RICO spending. Both bills failed. LeFevre said that creating such a database would be difficult without additional funding for ACJC. “We’re basically doing this without any resources provided to our agency to do the reporting, so it could potentially impact the ability of our agency to fulfill our other obligations,” LeFevre said. ACJC is tasked by law with monitoring and reporting on criminal justice programs, including the National Instant Criminal Background Check system and a crime database. Navajo County Attorney Brad Carlyon said that efforts to reform the program may take away an invaluable tool that has helped stem the tide of drugs in his part of the state. Arizona is one of two states (along with Texas) that explicitly allow seizure income to fund officer salaries, according to an Institute for Justice report. Other states tacitly allow it, but data on how much is spent on paychecks is unavailable in those states, said Paul Avelar, an Institute for Justice lawyer. Employee pay is listed by ACJC in a category labeled “admin expenses.” The AZCIR analysis found that Arizona agencies spent $25.2 million, or one-fifth of all spending, on salaries, benefits and overtime during the past five years. Less than half the participating agencies spent seized funds directly on employees. The Phoenix Police Department, for example, spent $5.7 million on salaries and overtime. The Pima County Attorney’s Office reported spending $1.7 million on employee pay. The Attorney General’s Office spent more on personnel than any other agency at $6.4 million, which funded 50 positions, according to an August 2016 budget proposal document provided to AZCIR. The request asks for the legislature to replace the funding for these positions with state general funds starting in 2018, citing a decline in seizure revenue. Amelia Cramer, Pima County’s deputy county attorney, said seized funds only pay for salaries of community program workers. These programs, including one designed to reduce juvenile offender recidivism, save taxpayer dollars on criminal justice costs, she said. Similar to “admin expenses,” the other nine spending categories on the ACJC reports are imprecise, offering agencies broad leeway to classify their expenses. The largest category of spending is also the most obscure: “other operating ,” a catch-all that includes everything from “evidence acquisition” to training to utility bills. It covers $43.7 million, or one-third of all spending. The Gila River Police Department spent all of its $58,640 during the past five years in this category. The money was used for software, confidential informants and a law enforcement conference, according to the more detailed agency reports. Almost all of South Tucson Police Department’s reported expenditures were for “other operating” costs. The reports show that the department spent $227,000 on services including vehicle maintenance and x-rays, but because ACJC’s reports are missing information from South Tucson in seven of the 20 quarters analyzed, it’s impossible to know exactly how much seized money the department spent and on what. It’s unclear whether the department didn’t file reports in those quarters or if ACJC failed to include them in its reporting. The department didn’t respond to multiple requests for comment. Arizona agencies also used seized money to buy $38.8 million in equipment. The Glendale Police Department spent the most of any agency on equipment, $6.9 million, much of it on “data processing” and surveillance technology. Some of that money was also spent on sniper rifle scopes and Tasers. “My vision for the future use of RICO funds is to help enhance and support community education on the negative impacts of drug use on individuals, families, and the community as a whole,” Glendale Police Department Chief Rick St. John said in an emailed statement. 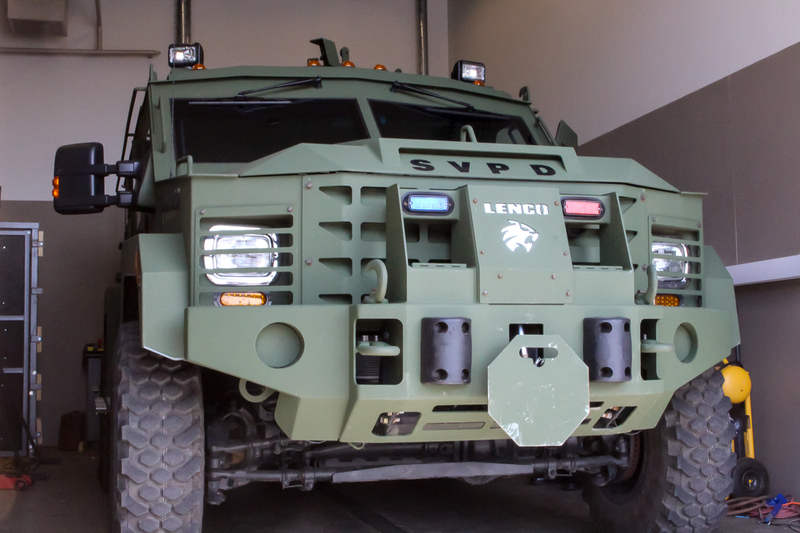 The vast majority of the Sierra Vista Police Department’s purchases were for equipment, including $21,500 for a canine and its training, as well as $75,000 that was combined with federal forfeiture funds to buy a $277,000 LENCO Bearcat Tactical Vehicle. Police Chief Adam Thrasher said these were purchases the department wanted to make for years, but couldn’t because the city council hadn’t provided the funds. 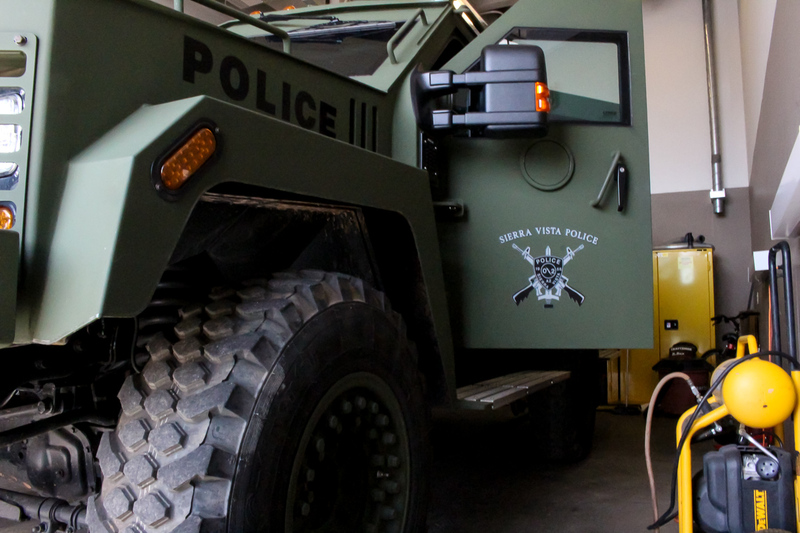 Steve Gesell, chief of the Cottonwood Police Department, said communities often receive the benefit of these funds through enhanced police capabilities as funding from the city, county and state was reduced. Because every seizure must be approved by a judge and every expenditure has to go through a county attorney, Gesell said the checks and balances are sufficient to keep the vast majority of agencies from abusing the program. “(Media reports) make it sound like it’s a free-for-all, where we have unilateral authority to seize and then expend the proceeds from seized assets, which is clearly not the case,” he said. But Avelar said these measures aren’t enough to prevent abuse. State law isn’t clear about the role that county attorney’s offices have in overseeing the program, and, as a result, their involvement varies from county to county, he said. Seized funds were also donated to a variety of outside groups, from schools to drug awareness organizations to a fallen officer memorial in Washington, D.C. Pinal County and the Maricopa County Attorney’s Office account for more than half of the $5.7 million in donations from Arizona forfeiture funds from fiscal 2011 to 2015. Maricopa County Attorney’s Office spokeswoman Amanda Jacinto said in an email that the funds are used to support afterschool programs and assist crime victims. “As the third largest county attorney’s office in the nation, it makes sense that we have awarded more grant money toward these community programs than other offices in the state, and we are proud of the work we have helped to accomplish in our communities,” Jacinto said in the email. But reform advocates questioned whether some of the donations made by Arizona agencies were legitimate, particularly Pinal County’s donations to the Arizona Public Safety Foundation, which has drawn scrutiny from the American Civil Liberties Union and the FBI. The county is facing an ACLU lawsuit over its forfeiture practices, and the group has accused the Pinal County Sheriff’s Office of using the foundation to funnel seized money back to the sheriff’s office without any oversight, according to its July 2015 complaint. The foundation is run by current and former PCSO employees and, until recently, listed the same address as the sheriff’s office. In the reports analyzed by AZCIR, Pinal County donated more than $650,000 to the foundation. The group’s mission is to support first responders by connecting them with donors and purchasing equipment that isn’t budgeted, according to its website. The Pinal County Attorney’s Office, which manages the county’s forfeiture account, declined to comment on its donations to the foundation because of the ongoing lawsuit. In September, the county received a subpoena from the FBI regarding the foundation donations, according to Pinal County spokesman Joe Pyritz. 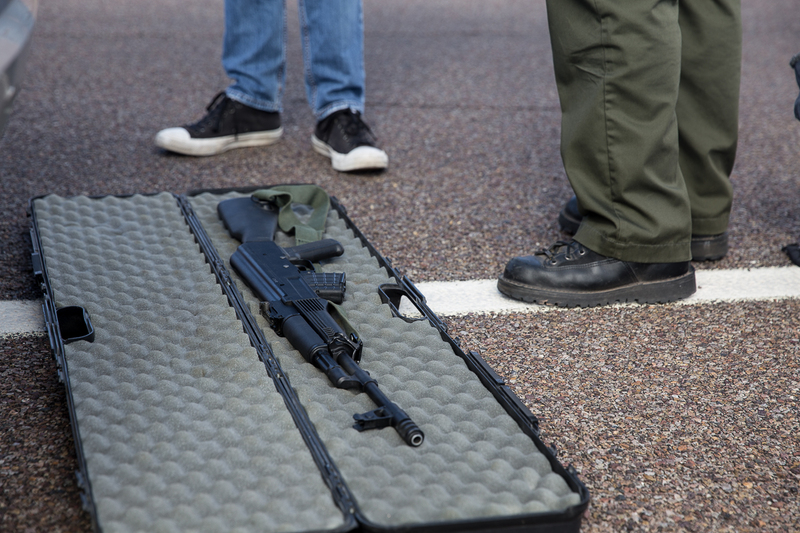 The ACLU’s suit alleges that Arizona’s forfeiture system creates too many conflicts of interest because prosecutors have significant power in determining whether to return property, even though they would benefit from seizing it. 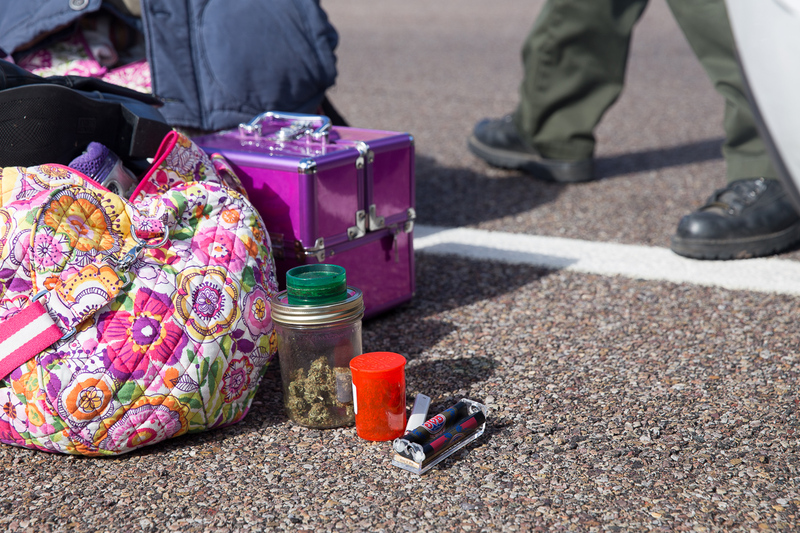 The lawsuit centers on the county’s seizure of a woman’s truck, which was allegedly used to transport drugs by her son. When the woman, Rhonda Cox, tried to fight for the return of her seized vehicle, she contended that Pinal County officials threatened her with their legal fees if she lost the case, according to court documents. The only other state with a similar provision is Illinois. Property owners in Arizona can only charge the state for attorney fees if they succeed in their case, and they can prove that law enforcement should never have tried to seize the property in the first place. Navajo County is fighting its own legal battle over its use of forfeiture laws after the Institute for Justice, a libertarian advocacy group, filed suit in October. Avelar, the Institute for Justice lawyer, is representing Terry and Ria Platt, an elderly couple from rural Washington who said the process for reclaiming their seized Volkswagen sedan was stacked against them. County officials discounted the couple’s claim document after they didn’t write “under penalty of perjury” next to their signatures, court records show. The car has since been returned to the couple. “They pretend to be stopping criminals, but actually it’s criminals stopping innocent people,” said Terry Platt. His son was arrested but hasn’t been charged.